A staple in every bar, Tonic Water is the stuff of legend. Tonic Water was initially developed as a tonic for the prevention of malaria in Africa and Asia where the disease was rampant. The medicinal ingredient: quinine. And then a serious genius decided to mix some Gin in with his Tonic Water in an attempt to tame the bitter flavor. And then someone else decided that he wanted those bubbles, but wanted some of the bitterness back; so lime juice was added. Tonic Water, at its core, is water charged with carbon dioxide and flavored. Flavorings today include fruit extracts, sugar and a miniscule amount of quinine. If you were hoping to cure leg cramps with the amount of quinine in tonic waters these days, you’d have to drink a lot of it each day to make an impact. NO, I DO NOT recommend that you drink a lot of tonic water each day! “Fun fact: Tonic water will glow under a black light due to the quinine. This series of reviews has been something I’ve been dying to do since I first sampled Fever Tree Premium Indian a few years ago. And you all get to benefit from my curiosity and procrastination! All tonics have been stored in the same refrigerator at 34 degrees Fahrenheit for 6 hours. All tonics will be served one at a time in their own clean glass. All tonics will be judged on their own merits *and* in a 2 to 1 ratio with Plymouth Gin. Solo: Light bubbles. Refreshing nose. Mildly bitter. Decent sweetness, but not cloying. With Gin: All Gin on the nose. Refreshing flavor. Bitterness and sweetness nearly transparent. Final Thoughts: Neutral palate. Proper. Solo: Moderate bubbles. Ginger & herb nose. Seriously bitter. No sweetness. Lingering finish. With Gin: Gin and ginger on the nose. Very bitter flavor. Mild bitter aftertaste. Solo: Light bubbles. Transparent nose. Ever so slightly bitter. Imperceptible sweetness. With Gin: Mild Gin on the nose. Refreshing flavor. Mild, but present bitterness. Imperceptible sweetness. Final Thoughts: Clean. Crisp. Proper. Solo: Visible bubbles. Transparent nose. Bitter. A touch of sweetness. With Gin: Mild Gin on the nose. Crisp and refreshing flavor. Slight bitterness. Nearly transparent sweetness. In the Best Bang for Your Buck department, Schweppes is the clear winner. With its near neutral blending with Gin and low price point, it’s a solid, safe bet. Bars, you may serve me Schweppes Tonic Water and I will not complain! In the What I’ll Be Sipping If I Have a Sour Stomach department, Fever Tree Premium wins. On its own, Fever Tree Premium is fantastic. After a hearty meal, or a rough night, this is my pick-me-up. In the What I’d Like to Serve to Friends department: Fever Tree Naturally Light. I love the fact that they didn’t juice it up with a bunch of artificial crap. It’s just fruit sugar and it’s dialed back. I’d have thought that would make for a very salty & bitter tonic, but it doesn’t. It’s good. Now, What Will Be Staying in My House Forever: Fever Tree Premium. 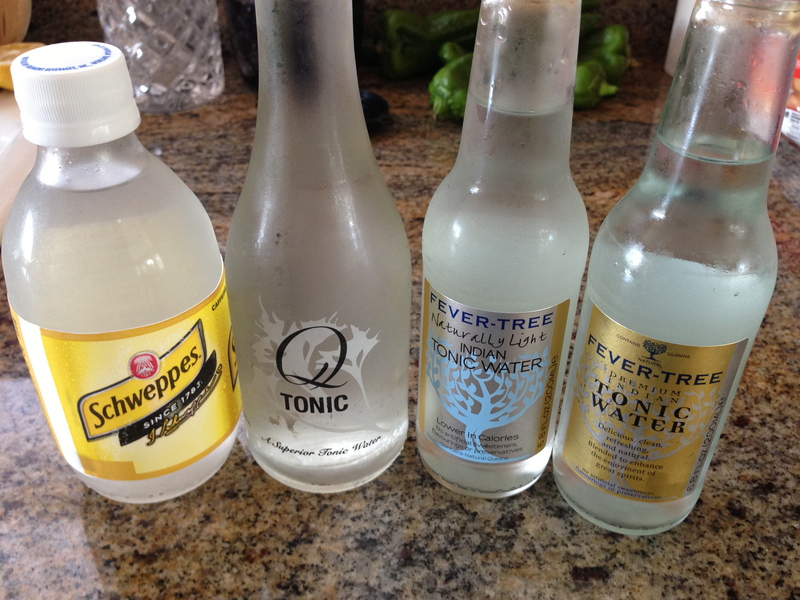 Yes, it’s pricier than Schweppes, but the flavor of Fever Tree is top notch.